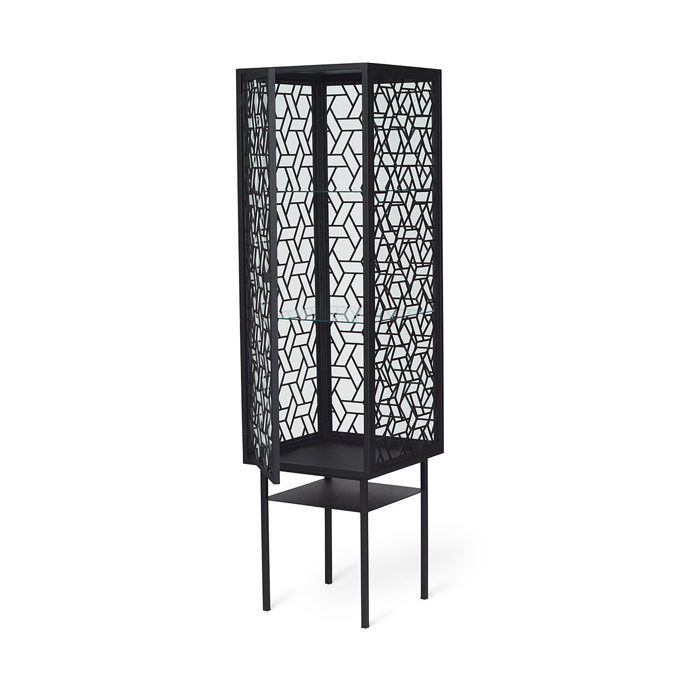 An elegant glass display cabinet with a timeless design and a beautiful combination of metal and glass. 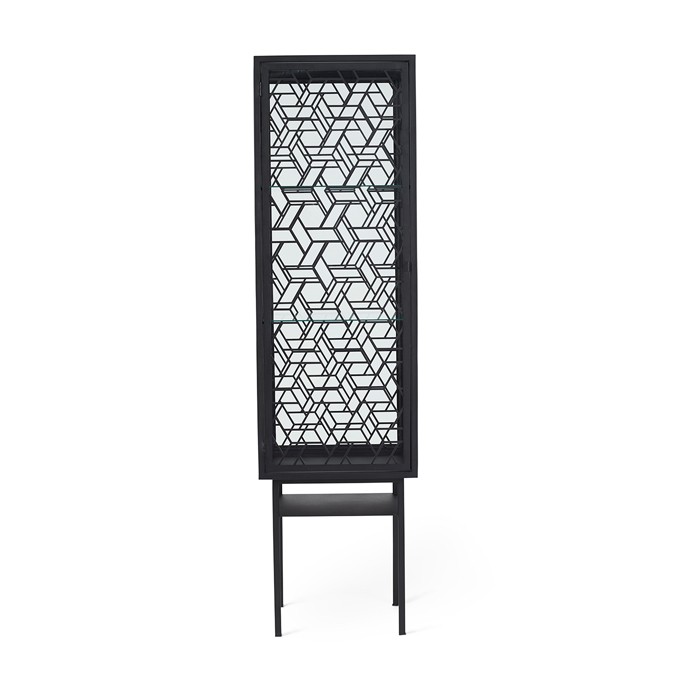 Enigma is perfect for displaying and highlighting your most cherished possessions behind a glass shield. While an elegant feature in any living room, it would also lend an extravagant touch to the bedroom. 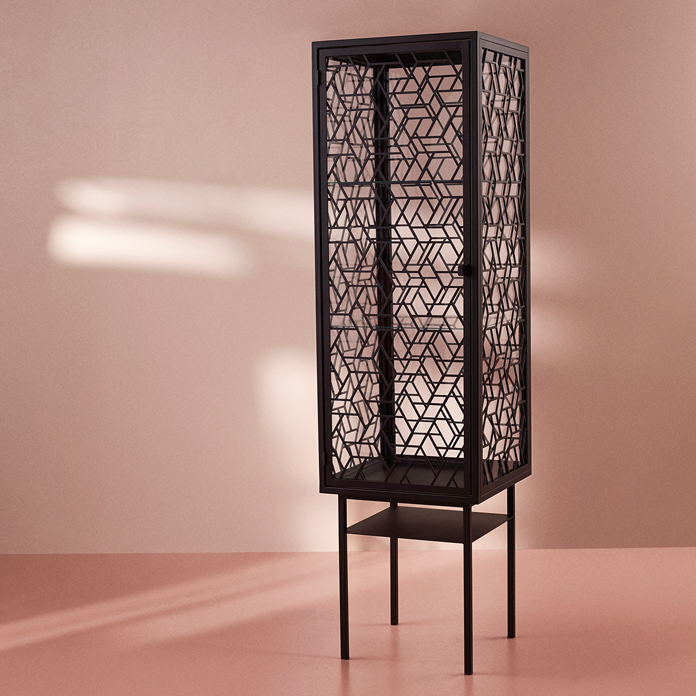 The talented Danish designer, Rikke Frost takes a fresh look at the glass display cabinet, transforming it from a utility item into an artistic experience. The overall design concept of Enigma is to present its contents in a fragmented way, investing the classic glass display cabinet with an enigmatic, artistic character and innovative relevance. The metal grid was inspired by traditional glazing techniques, in which lead soldering is used. Its playful use of shadows and transparency tickles our curiosity: you can only just make out the outlines of the items displayed behind the glass. 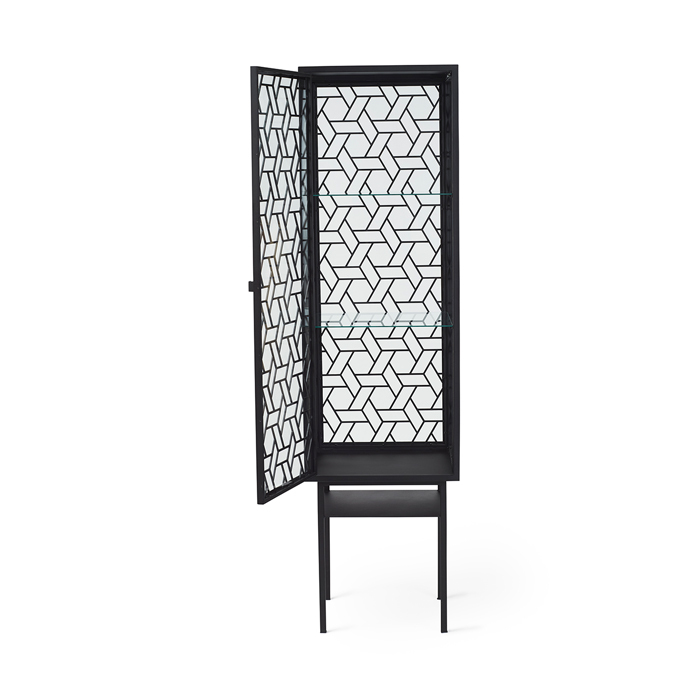 The combination with powder painted metal lends the Enigma glass display cabinet a touch of modern elegance. The glass display cabinet dates back to the 18th century, when one of the major glazing specialities was framing small sections of glass in lead to create large glass windows for churches and cathedrals. The Danish designer, Rikke Frost has taken on the technique and brought both the technique and the beauty of the glass display cabinet to life in Enigma’s contemporary, eye-catching design.